Charlotte - She thinks I was too clingy. I dont understand how I could be too clingy when she wanted to trade kidneys, and had me sit really close to her so we can be with each others energy. She was always wanting to be around me and hug me and hug so hard that some day we could become one person. Boo- She just never responds to me. Shes in Boo world still, which is fine. Mellissa - I dont know why she wont respond to me and unfriended me on facebook. There is nothing that I could have done to her because all we have done is really trail off in talking. Candace - Her and I just wont work. Its a shame. She just has to have everything her way or nothing. I wanted to improve, I wanted to feel better and be a better friend to her. Iwanted to figure out why she was mad and what I did to hurt her. Wolfie - He is going to listen to charlotte and be on charlottes side. He isnt talking to us right now. I dont know why. Patrick- no one at all seems to know what happened to Patrick. Charles- Charles just never responds to anyone about anything. Its annoying. Kyle- I dont know whats up with Kyle, but I know Im not important to him. Fonzy- He is just a bit crazy and VERY rude. He never thanked me or allen for helping him. He just disappears without word. My heart hurts. Im lonely. did I do something to these people for them to not talk to me? What are they seeing that Im not? The boyfriend and I made this the other night and it was delectable. I found the recipe on Pinterest. If you want something quick and fun to make (even more fun with a friend or significant other) that makes a LOT, Than try this amazing recipe out! Cook pasta shells in well salted, boiling water until al dente (still have a little bite to them) If you cook them too long, they will be difficult to stuff, plus they will have additional cooking time, once they are stuffed. Drain the pasta and set aside while you make the filling. Cook, drain and dice enough chicken breast to make 4 cups. I always have homemade chicken stock and pre-cooked diced chicken bagged in my freezer. You could use canned chicken broth if you prefer. To make the filling, mix diced chicken, drained black beans, green onions, diced peppers, and cumin in a large mixing bowl. Thoroughly incorporate all the ingredients. Spread 3/4 c. picante sauce in the bottom of a large baking pan. (I used 13x18x2, but I’m guessing that two 9×13′s would also work.) Reserve the final 1/4 cup, for later. Using a spoon, or your fingers, fill each of your cooked and cooled pasta shells, setting them into the picante covered pan. Continue until all shells are filled and arranged in the pan. When the pan is full, drizzle the shells with the remaining 1/4 cup of picante and then sprinkle with the shredded cheddar cheese. Sweet Meditation to make you make your life better! 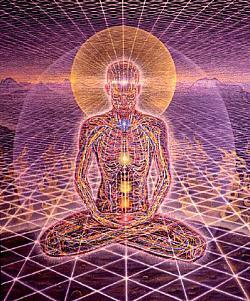 I dont know how many of you have ever tried meditation, but ti really does heal your soul in some unspeakable way. I made an amazing playlist. I was soothed and reassured, tripped out, talked to my body, tripped some more, got an incredible emotional inspiration, then was soothed before coming back to the real world. Please try this out. This an hour and 4minutes of healing and bliss for your mind, your spirit, and your body. Please tell me what you liked and didnt like about it, what you experienced, and/or how you feel about it. This meditation includes Binaural frequencies, and nice long "Om" mantra (or pranu) and some shamanic drumming. Its a great combo. Meditate preferably by yourself but with others is fine too as long as you wont get distracted or self conscious. Either lay down or sit up cross legged, but make sure you are comfortable and wont be focussing on discomforts during the session. For some extra fun try to hum the frequencies and see how your body reacts. Make sure you wont be distracted for this hour, be in quiet and go potty before starting if you think that might be an issue. Try to quiet your mind and just focus on the sounds, but don't try too hard. mind chatter is fine and the more you fight it the worse it will get.sometime that mind chatter is just the issues coming up that you need to resolve first. Dont waste those coffee grounds! I try to recycle or reuse anything that comes into my home, one thing that usually bothers me and that is a huge waste in most households is Coffee grounds! Here are a few ways you can use coffee grounds after youve drank up that coffee. Better than throwing things in the garbage, these ways might actually make your life easier! 1. Skip the toxic abrasive cleaners for pots and pans and use a handful of coffee grounds instead. 2. Scour (non-porcelain) sinks with coffee grounds. It can actually clean out your pipes with its course texture and inhibits odors. 3. Clean old food off of dishes. Be aware not to use coffee grounds on materials that might be absorbent or porous so that you don’t end up with brown stains. 4. Boiling water and coffee grounds help to get rid of stinky odors deep down in your drains! 5. Out of Baking soda? (you should NEVER be!!!) Coffee grounds can also be used as a deodorizer. Place grounds in a jar or dish to absorb odors from refrigerators and freezers. 7. Make a used coffee grounds sachet. Fill old nylons or cheescloth with dry used coffee grounds. Hang in closets to absorb odors. 8. After you give your dog a bath, rub coffee grounds through the coat of your pet. 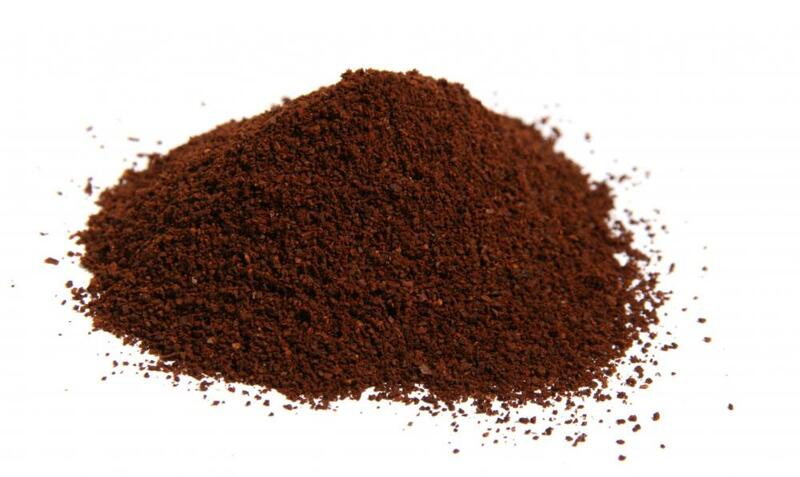 Coffee grounds are said to repel fleas. 9. Rub on hands to remove food prep odors. 10. Use wet grounds when cleaning your fire place or wood stove to keep the dust and ash from flying. 11. Get rid of Ants! Use coffee grounds for natural ant control. Place dried grounds in the areas ants frequent. The smell is a deterrent. 12. Grow mushrooms on old coffee grounds. 13. Cover up scratches in furniture. Dab a strong solution of coffee onto the scratch. Naturally, this works best on darker woods. 14. Use coffee grounds as a non-toxic, fully degradable fertilizer. Coffee grounds are a good source of nitrogen, calcium, magnesium, potassium and other trace minerals. While you need to be aware that not all plants love coffee, such as tomatoes, most are enriched by the added nutrients. Be careful though - make sure you check the internet or some other source to make sure that where you live doesnt have naturally acidic soil - I live in Arizona where the ground is Naturally Alkaline, and Coffee REALLY peps up soil for plants!) This is especially helpful for plants such as roses that need a high adicidy. 15. Your worms love coffee as much as we do. Theory suggests that besides the caffeine, the bacterium that grows on the many-sided grounds is not only a food source, but adds grit to their digestive system allowing them to digest better. Coffee-eating worms reproduce faster, which is great for oxygenating our gardens and compost. 16. Use as a non-toxic bug repellant. Use a solution of coffee to spray your plants. The smell is too strong for most bugs. 17. Use coffee grounds to keep cats from digging and pooping in your garden. 18. Use coffee grounds to deter slugs and snails. Both the smell and the abrasive surface help keep these pests out of the garden. 19. To increase your carrot harvest, mix the seeds with fresh-ground coffee before sowing. Not only does the extra bulk make the tiny seeds easier to sow, but the coffee aroma may repel root maggots and other pests. As an added bonus, the grounds will help add nutrients to the soil as they decompose around the plants. 20. Kitty repellent. To keep kitty from using the garden as her personal powder room, sprinkle grounds mixed with orange peels around your plants. 21. Soften and add shine to hair. When washing your hair, rub coffee grounds through wet hair and rinse. For brown hair, coffee grounds add highlights. 22. Use coffee grounds as an exfoliate for skin. Pat on skin, massage over skin, rinse. 23. Add coffee grounds to your skin mask beauty routine. Put some wet grounds over dark circles around your eyes and watch that Vassal Constricting elixir erase them! 24. Used grounds are also said to repel snails and slugs. 25. Rub coffee grounds on hands to get rid of smells from chopping or cutting up pungent foods. 26. Make a used coffee grounds sachet. Fill old nylons or cheescloth with dry used coffee grounds. Hang in closets to absorb odors. 27. When you need an abrasive cleaner, coffee grounds can be used. Be careful of any surfaces that might stain. 28. Remove furniture scratches with wet coffee grounds. 29. Sprinkle wet coffee grounds over the ashes to keep from becoming engulfed in the plume of dust ashes create when you need to remove them. 30. Dye fabric, paper or Easter eggs. Simply add used coffee grounds to warm water and let sit a bit to create a dye. 31. Cellulite reducer. Miix 1/4 cup warm, used coffee grounds with 1 tablespoon of then, while standing over an old towel or newspaper, we're to apply the mixture to our "problem areas". Then wrap the areas with shrink wrap and leave on for several minutes. Unwind the wrap, brush loose grounds off our skin and then shower with warm water. For best results, it is recommended to repeat this procedure twice a week. A little weird to be sure, but as high priced cellulite creams actually have coffee in them, it just might work. 32. The acid in coffee actually melts ice a lot like salt. 33. Use it in ashtrays. It keeps the odor of cigs out and puts them out for ya like the sand in public ashtrays! Everything they told you was wrong with you is actually whats wrong with you! I request 10 minutes of your time for a special message.